Haven’t had enough of American nouveau riche extravagance with The Great Gatsby? 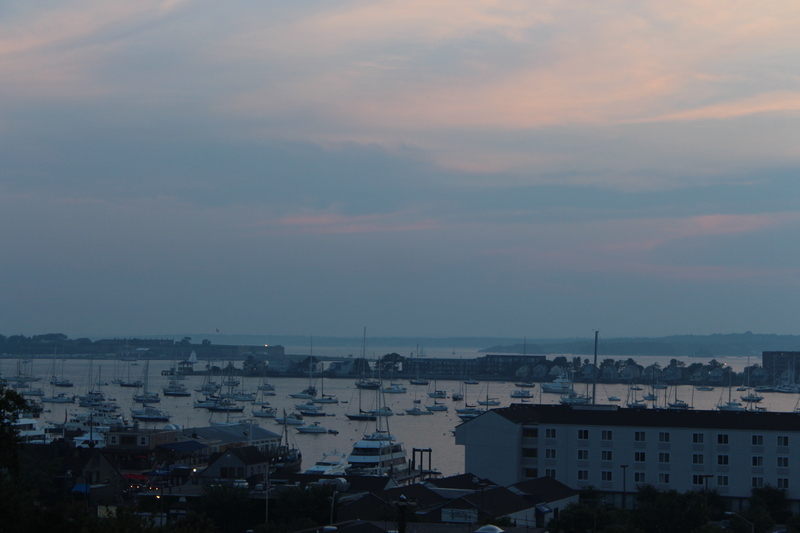 Newport, Rhode Island is the city for you. Newport was a major trade hub and military port in the 18th century before becoming the summer playground of incredibly rich socialites in the 19th century. Newport is still a beautiful New England seaside town which has aged as beautifully as any grande doyenne. The Dowager Countess of Downton Abbey would have approved. 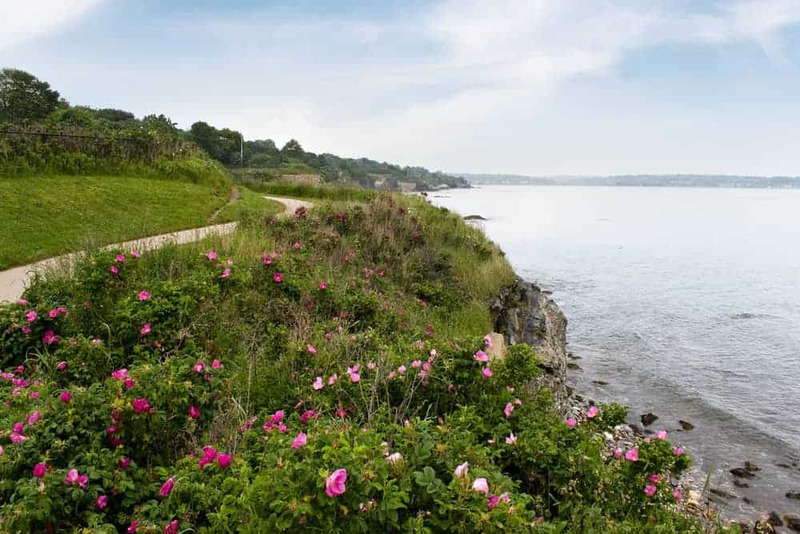 Between the gorgeous architecture, the family-friendly beaches and the strong sailing community, Newport attractions are plentiful. We discovered that Newport R.I. with kids is also fun. Founded in 1639, Newport became a major port city by the 18th century. In fact, in colonial times Newport was the center of the slave trade in New England. Slave trading families went on to finance what became the founding of the US Navy too. Even if racial tolerance was not happening, religious freedom was held to be dear. 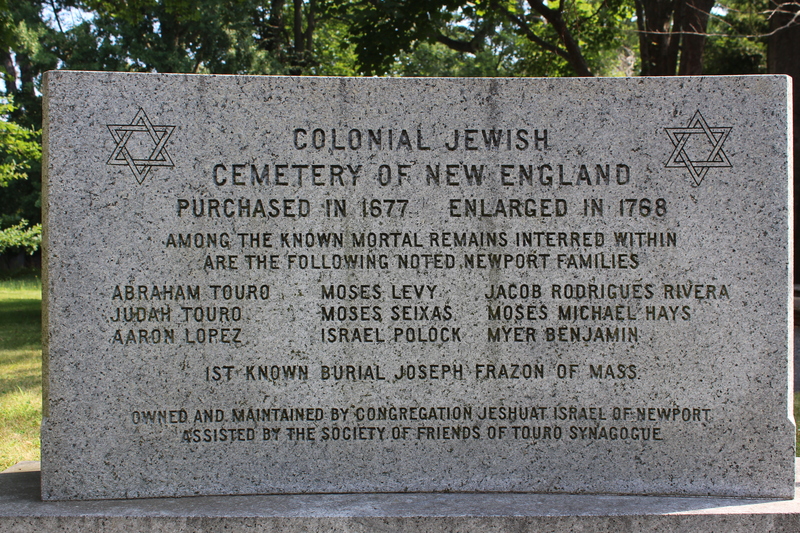 Newport has a long-standing Jewish heritage because Jews fleeing the Inquisition in Europe were allowed to settle in the city in 1658. The city’s Tours Synagogue is the oldest synagogue in the United States. The Jewish settlers brought with them commercial expertise and capital which boosted Newport’s economic prospects. One of them introduced the manufacture of whale oil which made the town very rich. The Quakers were also permitted to settle in the city, too. 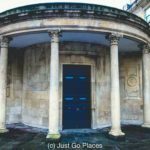 There is a Quaker Meeting House dating from 1699. Interestingly, Benedict Arnold (later traitor to the American cause during the Revolution) was the first governor of Newport. Newport was held by the British during the war until they abandoned it to concentrate their forces in New York. The Artillery Company is the oldest military organisation in continuous service in the United States. It was chartered by King George II in 1741. The French forces were stationed in Newport during the American Revolution. This American Revolution, however, spelled the end of Newport’s trade dominance because the port was closed during much of the war. Newport has the most numerous surviving colonial buildings of any city in the United States. These colonial houses are beautifully maintained and colourful. The diverse architecture reflects its changing population and fortunes. There are the colonial buildings of the seafarers, grand mansions of the industrial magnates, boarding houses and hotels for the non-magnate population and commercial buildings. Lots of the older buildings are charming inns and restaurants today. We stayed at the converted mansion of one of the junior Vanderbilts which is now a luxury hotel, the Grace Vanderbilt. 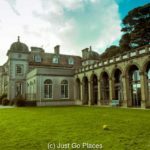 On a previous trip without the children, my husband and I stayed at a luxury B&B run by an expat Brit. 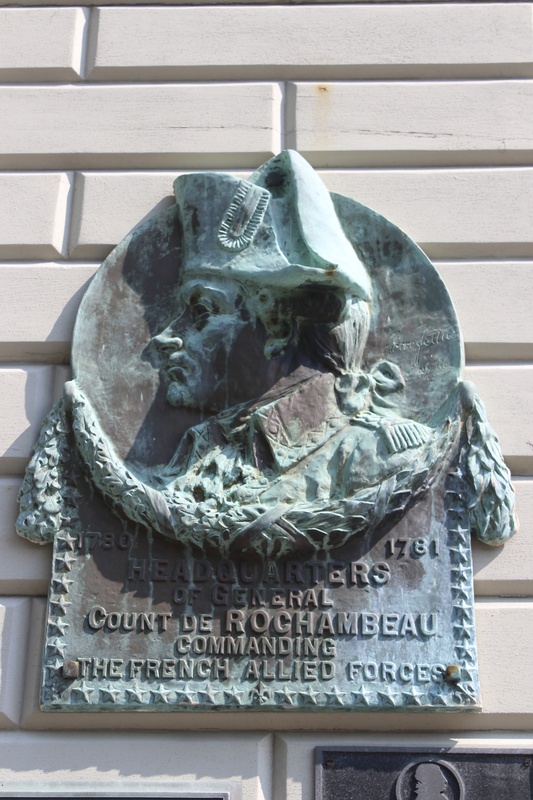 In another example, Decatur House was the family home of Commodore Decatur, a renowned naval hero in post-revolutionary America. Decatur House is now a great Mexican restaurant, El Perro Salado (because you know we scout for good Mexican food everywhere we go). The restaurant is set amongst the jumble of rooms typical of a colonial home and overflows into the patio area. Repurposing a 19th century naval hero’s house into an upscale Mexican restaurant shows how the old and the new co-exist peacefully in Newport. 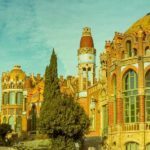 The city’s fortunes turned again by the middle of the 19th century when the city became a summer resort for newly wealthy industrialists. By the turn of the 20th century, the extremely wealthy spent their summers in their Newport cottages. In no way, can these houses be called “cottages” except if perhaps the owners’ other houses were gargantuan. Some of these houses have been turned into museums but many still remain private homes. 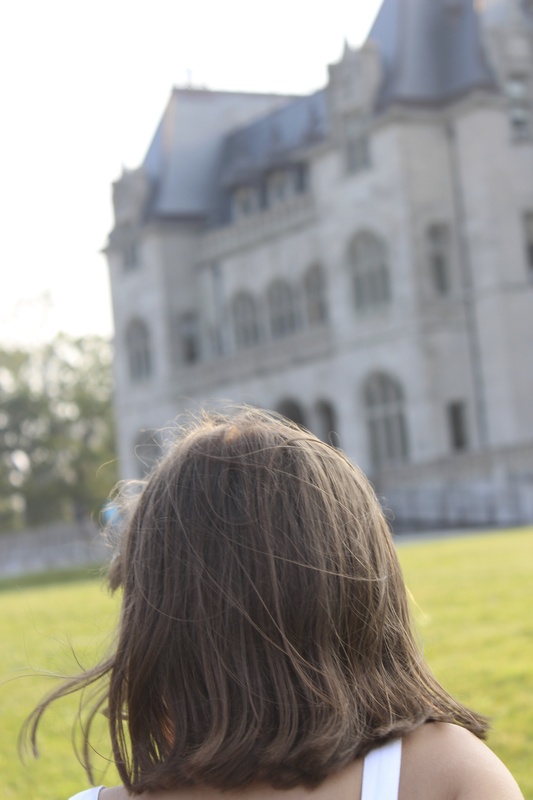 Our children were fascinated with Rough Point, the Newport mansion of eccentric heiress Doris Duke who kept camels in her garden. 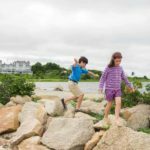 Rough Point is one of the best Newport mansions to visit with kids. 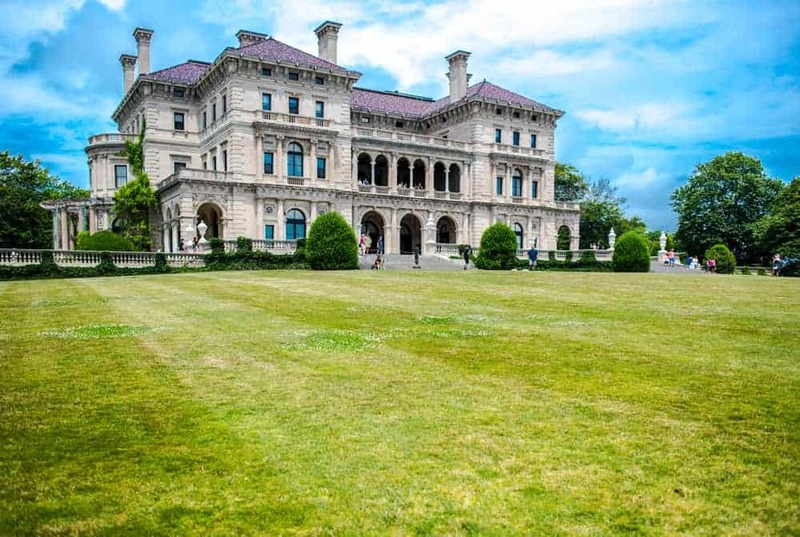 Even after the demise of the Gilded Age Barons, Newport R.I. continued to attract the well-heeled and well-connected. For example, John F. Kennedy married Jacqueline Bouvier in a church in Newport. Their wedding reception was held at the Bouvier summer home. Both Presidents Kennedy and Eisenhower spent their summers in Newport. 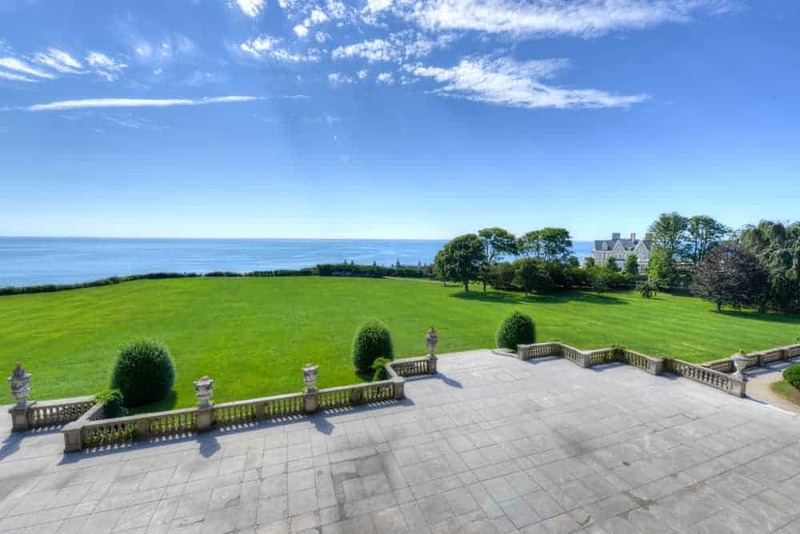 Thanks to its fabulous summer weather, Newport R.I. is still an upscale summer destination. This view of Newport Harbor from the rooftop bar of the Vanderbilt Grace shows that the harbor is very popular with the summer sailing crowd. 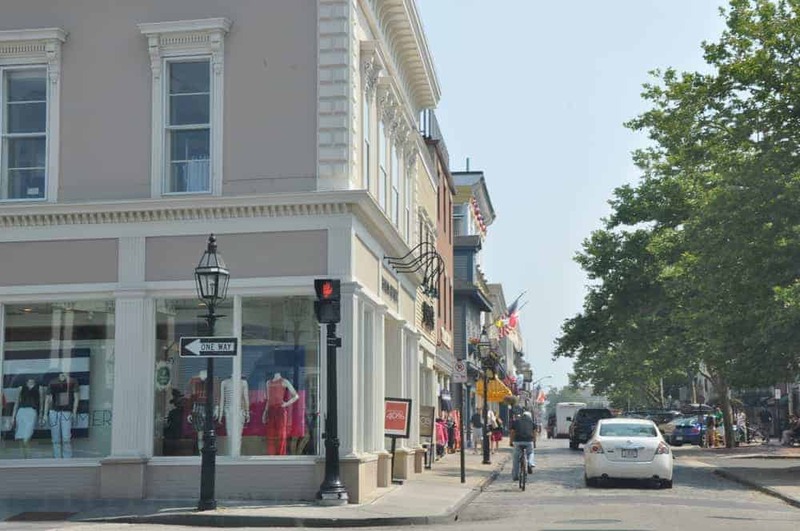 Newport is a really pretty New England seaside town rich in its history and architecture. History really comes alive in Newport walking around the old part of town. There are lots of small decorative touches everywhere which catch your eye. The town reminds me of Bruges in Belgium and the old reconstructed part of Warsaw in Poland. You can really get a sense of the past because the atmosphere is so lovely. Go shopping. There are charming little boutiques by the harbor that sell touristy trinkets, fudge and chocolate. Have an ice-cream cone by the harbor as you watch the sunset. The Cliff Walk of Newport R.I.
Newport does have a trolley that runs around the historic centre. It is, however, useful to have a rental car. We rented our car through Hertz as usual. 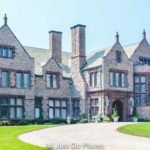 We stayed at the Grace Vanderbilt which was a gracious and family-friendly hotel conveniently located in the historic centre of Newport R.I.. You can read the review of our stay at the hotel.